In Bernard Sport Surfaces Ltd v Astrosoccer4u Ltd  EWHC 2425 (TCC) Mr Justice Coulson had strong words to say about correspondence and conduct which, he held, were simply attempts to avoid a debt that was lawfully due. The claimant made an application to enforce an adjudicator’s decision against the defendant. The claimant also made an application to continue with enforcement despite a notice of intention to appoint an administrator being served by the defendant shortly before the hearing. 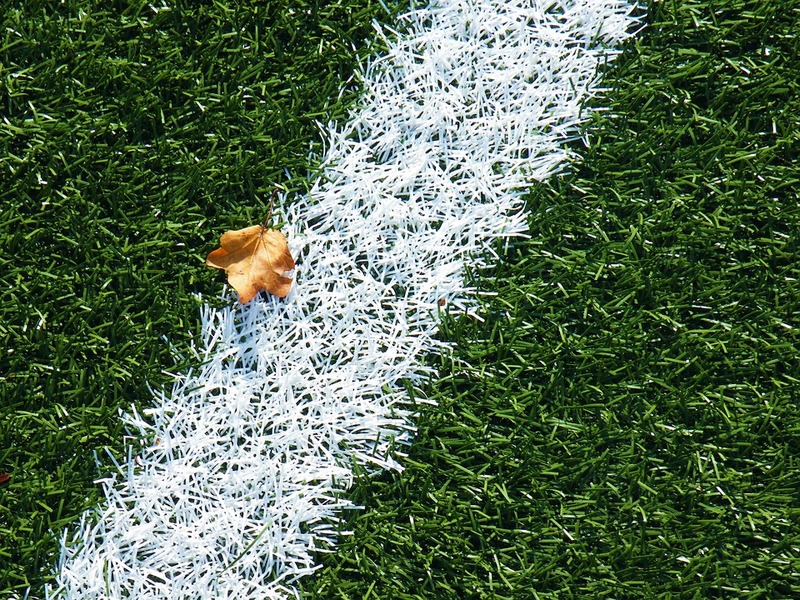 The claimant obtained an order for £175,962.57 to be paid by the defendant following the installation of a sports pitch. Subsequently the defendant alleged defects in the pitch. However this was not a matter that the adjudicator was permitted to consider. The principles of law are clear – the sum found by the adjudicator is always due and payable. The judge considered the application and had some concerns as to the defendant’s conduct. The particular points of conduct I shall simply number. One, on 8th August, Mr. Coote, a director of Astrosoccer4u telephoned a representative, Mr. Taylor, of Bernhards. During that conversation, Mr. Coote expressly indicated that the claim – the debt – the sum found due by the adjudicator – was, indeed, due. In my view, whilst that might be regarded as a statement of the obvious, it was a clear admission to that effect so therefore, what Mr. Coote should have been doing, was indicating that the money would be paid by a certain date or would be paid in stages or whatever it might be. Having made that admission, there was no proposal for payment whatsoever. The response from Mr. van Gelder, Bernhards’ Solicitors, pointed out that this was, at least potentially, evincing an intention to use the Insolvency procedures as an abuse of process or, at the very least, amounted to actively trading whilst insolvent. It seems to me that is a fairly mild response. The aggressive tone of the letter of 18th August is one thing, but the content is, I think, a clear threat that unless the claimant embarks on a course of action which does not involve him getting his money, the Insolvency procedure will be used. On the face of it, that is unlawful. Three: having received Mr. van Gelder’s measured response, Keystone Law wrote again later on 18th August which said, “You will get nothing then. Goodbye”. That was breathtakingly rude and was, plainly, part of the intention to misuse the Insolvency proceedings. That was confirmed by event Four, which was an email sent by Keystone Law to their client, Astrosoccer4u, but which was deliberately copied to Mr. van Gelder. That said, “Suggest you file the NOI to appoint so they can’t get a charging order in front of other genuine creditors. I will do the claim against them on a CFA for the IP”. That was further confirmation of the abuse of the Insolvency rules. The anger and aggression is plain from the text. It is, I imagine, a breach of the rules relating to the proper conduct of solicitors. Event Five was a letter of 21st August from Mr. Endersby, one of the directors of Astrosoccer4u and somebody who has sworn witness statements in this case. This enclosed a draft notice of intention to appoint an administration, but it was clear that the defendant had no intention of serving that notice, because the letter made plain that it was being provided in draft so that further pressure was being put on the claimant to withdraw the court proceedings and agree to meet to discuss a settlement. That was not a bona fide notice of intention to appoint an administration. It was part of the threats. The defendant company then embarked on various measures to restructure themselves, again in the hope of avoiding paying this legitimate debt. Thus, on 29th August, event Six, they entered into a legal mortgage with Formark Scaffolding, which secured property held by the defendant. Formark is a wholly owned subsidiary of MEC2 Limited which, at the time, was the company with significant control over the defendant. It does not appear that the defendant obtained any lending from the mortgage and it looks as if this transaction was merely designed to place Formark as a secured creditor with precedence over the defendant’s assets and control over the sale of the defendant’s property. Event Seven was the completion of a fresh NOI which looks as if it was lodged on 31st August in the Companies Court here in the Rolls Building. There is no evidence that it has ever been filed at Companies House, and Mr. Hussein’s instructions did not include any reason or explanation for that. That was, as I have said, plainly part of the defendant’s endeavours to avoid this hearing or judgment being given at this hearing. Event Eight involved a notice dated 31st August, by which MEC2 Limited ceased to be the party with significant control over the defendant and being replaced by an entirely new entity, Surrey Stadium Limited, whose directors and controllers were again, Mr. Coote and Mr. Endersby. On 1stSeptember, event Nine, the defendant changed its registered office. As I have said, all of these events were part of an attempt to avoid this debt. I regard them, as a completely bogus series of events, endeavouring to prevent the debt being paid. The NOI is, of itself, defective because it contains no minutes as it is supposed to. As I have said, it has not been filed with Companies House. It is also contradicted by the fact that the defendant is still trading through its website. It is also contradicted by the fact that the defendant has a lease with Whyteleafe Football Club which is still participating in its league. In my view, in addition to all of that, standing back, there is no evidence of any actual insolvency. Having looked at the financial records, it is plain that the only reason why there is a negative figure in the draft accounts is because of an inter-company loan which is completely unexplained. Accordingly, on the face of all that, this is a classic example of two directors endeavouring to use Victorian company legislation to avoid paying a due debt. That, of itself, is (regrettably) not unusual. What is unusual here, in my judgment, is the connivance of Keystone Law. For all those reasons, the conduct in this case is far, far more serious than the conduct in South Coast and for all those reasons, it follows that a fortiori (as per the reasoning in South Coast), I should give the necessary permission here. Having granted the necessary permission, for the reasons given at the outset of my judgment, I then enter judgment on behalf of the claimant, Bernhards, in the sum of £175,962.47 together with interest (figure to be provided) and £8,000 relating to the adjudicator’s fees which the claimant has paid but for which the defendant is liable. !